The “Definitive Blunt Instrument” as KING OF WORKS was dubbed was finally released on June 29th. Originally it was meant to be only half of the size than it what it turned out, so learning the final shipping cost caused much gnashing of teeth. 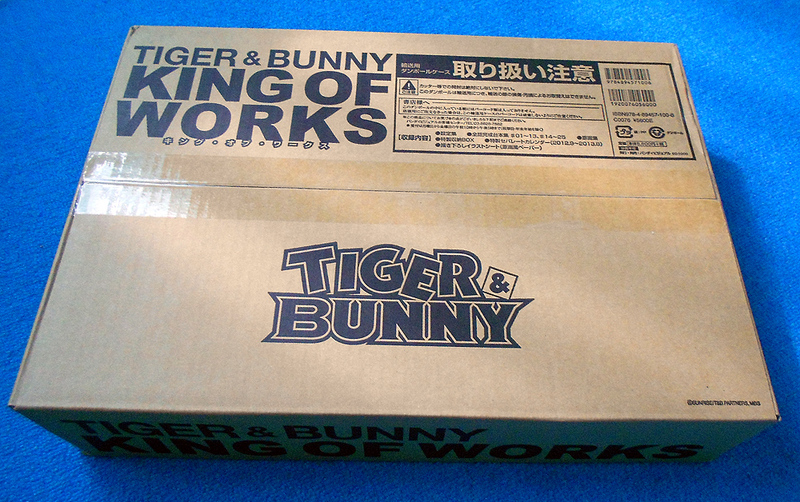 Disregarding what it’ll cost to get this package to you, KING OF WORKS has an amazing amount of content for its price. Inside the nondescript brown box is the actual KING OF WORKS archive box, containing all the goodies. 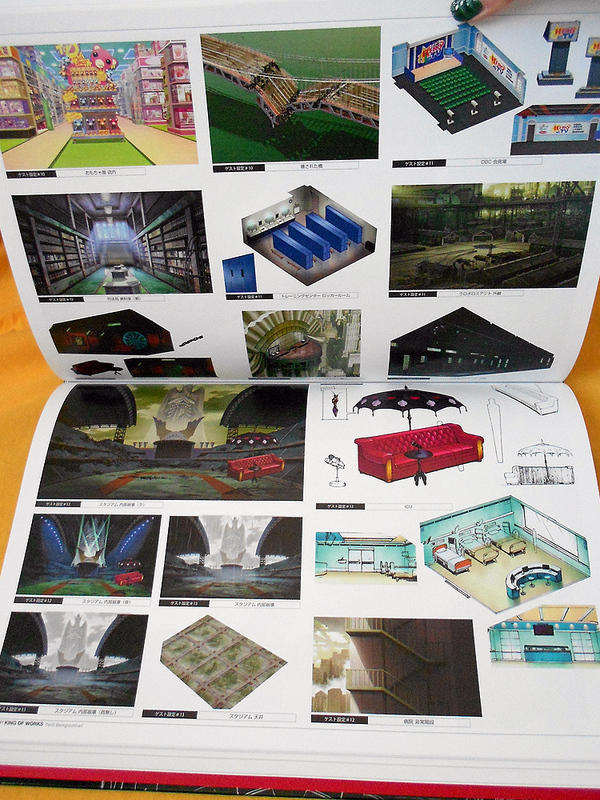 The black box isn’t actually all black, it has faint design illustrations like the covers of the artbooks. 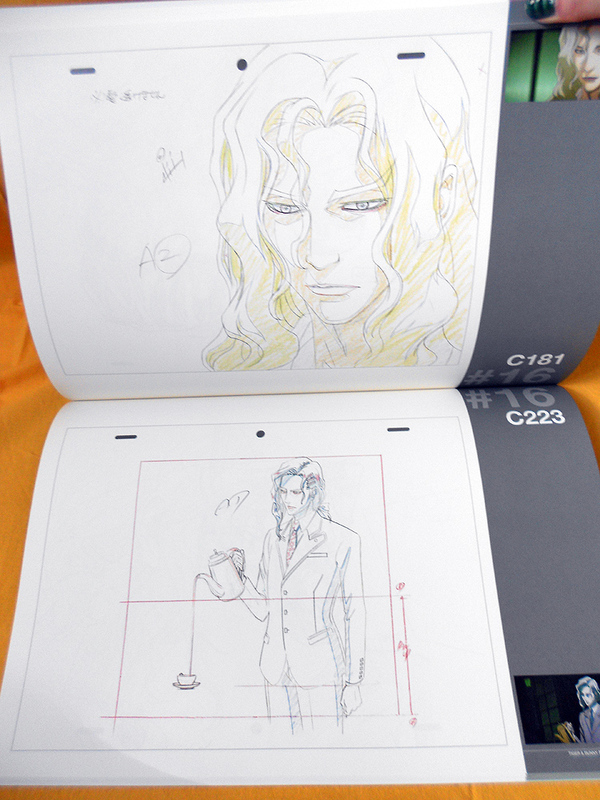 These two softcover volumes contain the full script of the series, with scene notes, cues, and instructions. The scripts seem to have been revised from the original ones that were used for recording because there are adlib marks – those wouldn’t be in the originals I think. I’ve also heard that the original script for episode 1 had the ages of all characters noted down, but I couldn’t find them in these scripts. 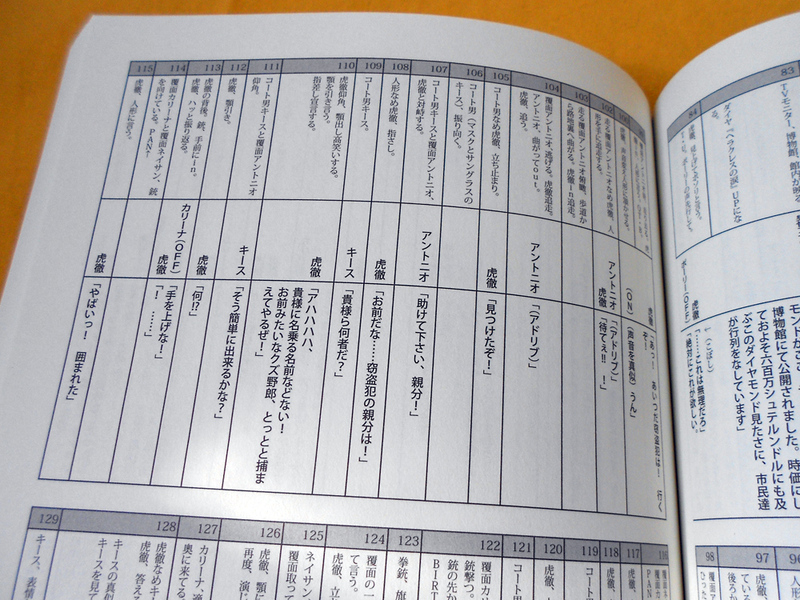 The scripts seem a bit confusing at first, but there’s a reading guide in the beginning, noting what the different sections mean and explanation to some terms used in the script cues. 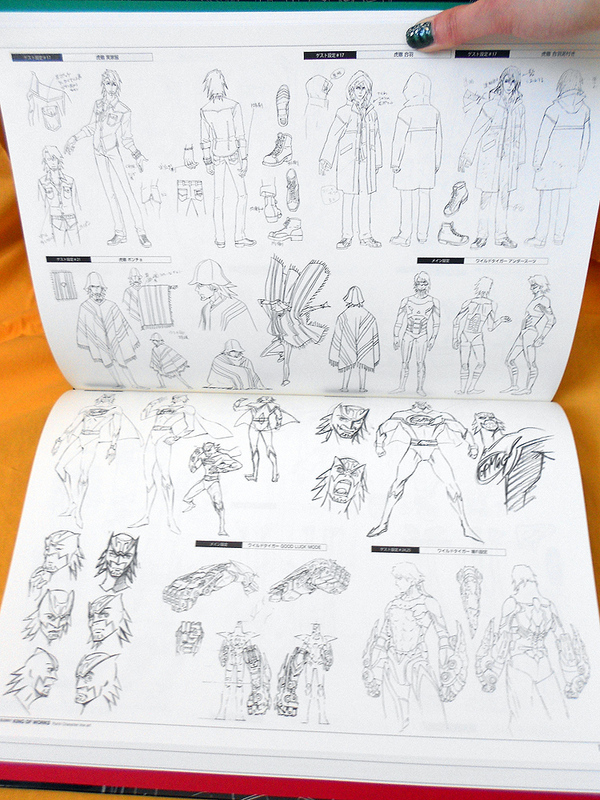 This book contains illustrations for animation frames. 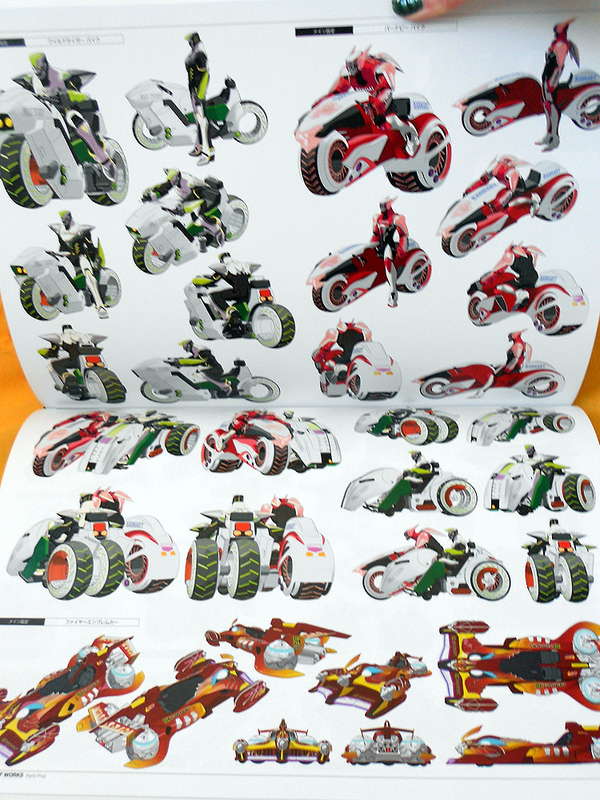 There’s a colour coded section for each hero and a section for minor characters, groups and background art. 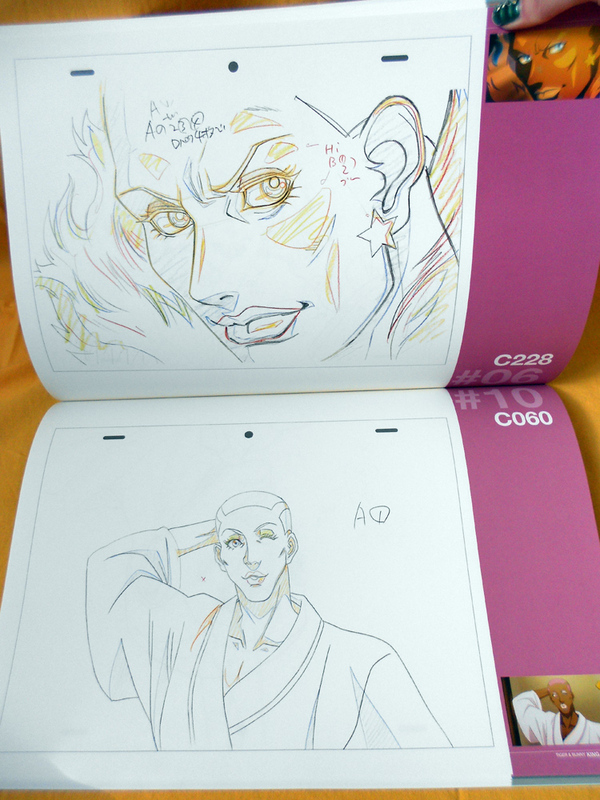 Each illustration also has a code that corresponds to the episode script, so you can try to find the scenes from the script books, too. This book is quite big, and a bit hard to handle because it’s softcover. 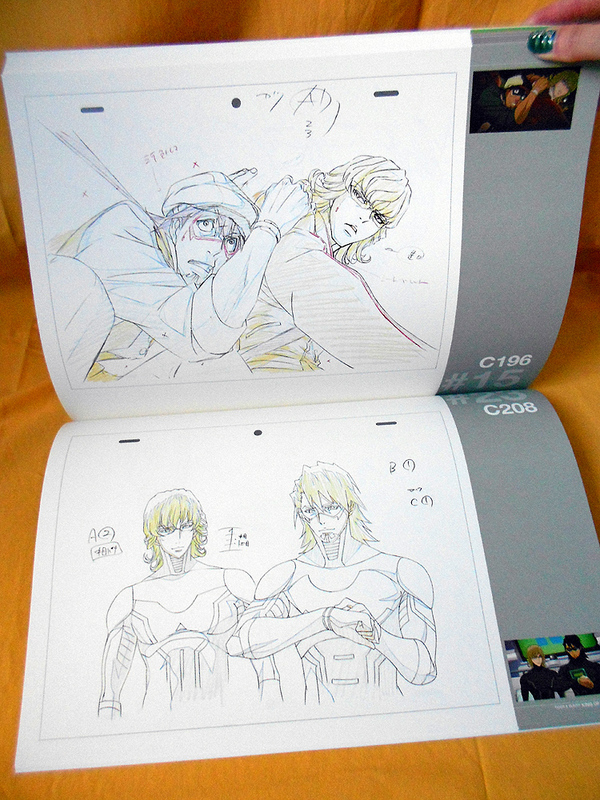 The paper quality is great and I’m afraid my photos aren’t doing justice to the pages. 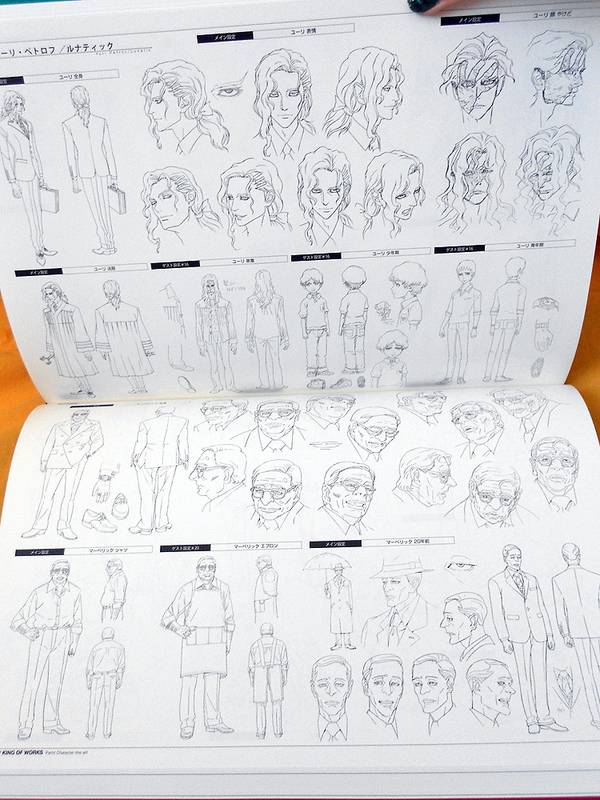 I really loved this book, but if you’re not that interested in animation frames, the last one in the box is probably more interesting. 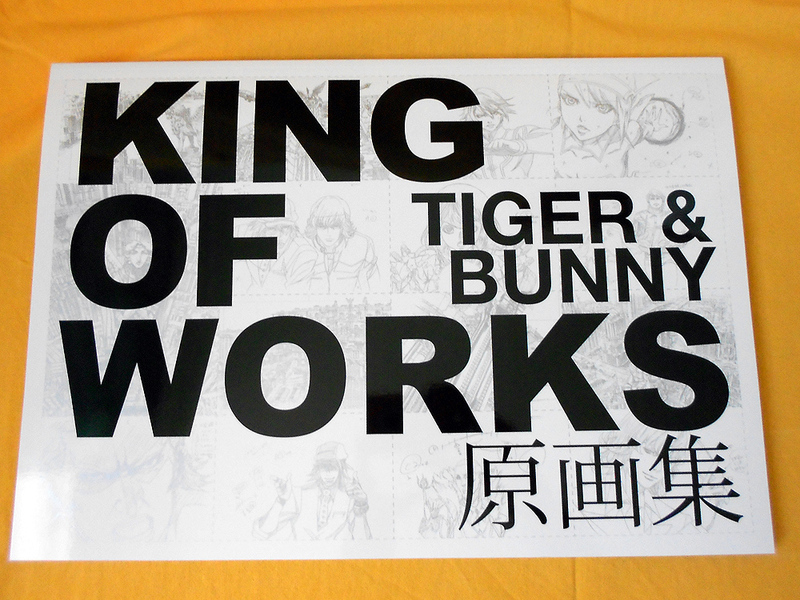 I consider this the main book in KING OF WORKS. 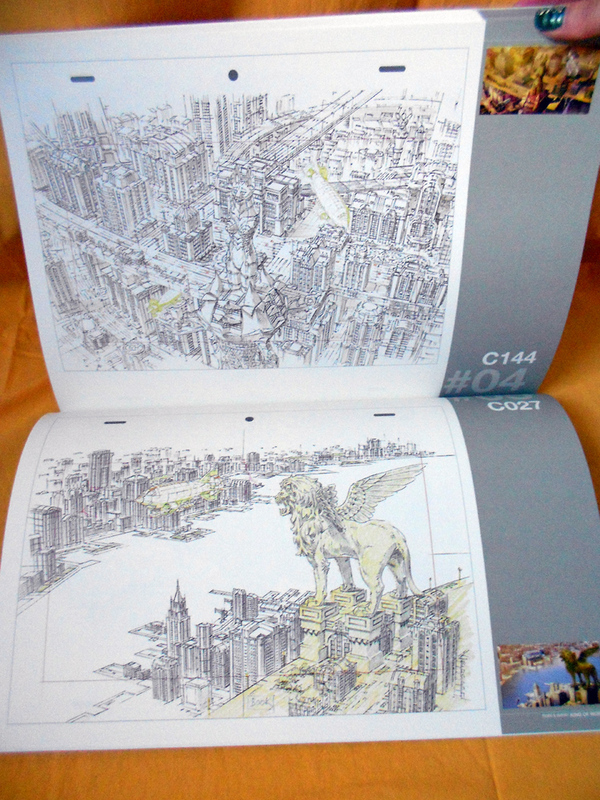 This one’s the same size as the Original Illustrations Collection, but in hardcover. 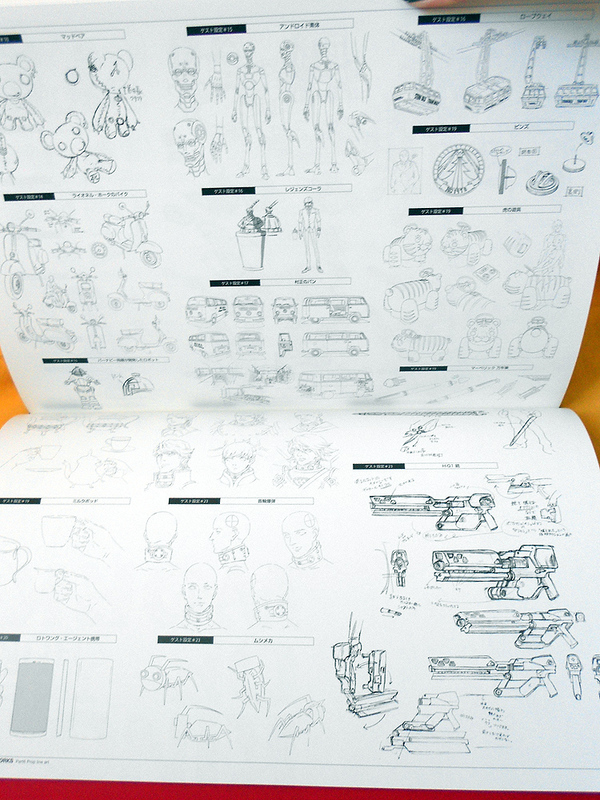 It contains an incredible amount of concept art and designs for characters and hero suits, background art of interiors and exteriors, and art of props and vehicles. 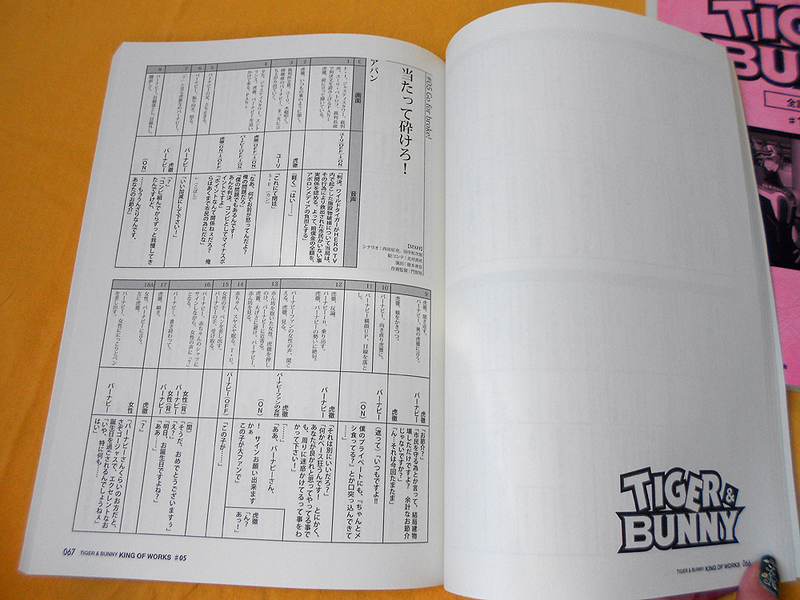 I could imagine a book of this size would cost around 3000 JPY if not even more if sold separately. 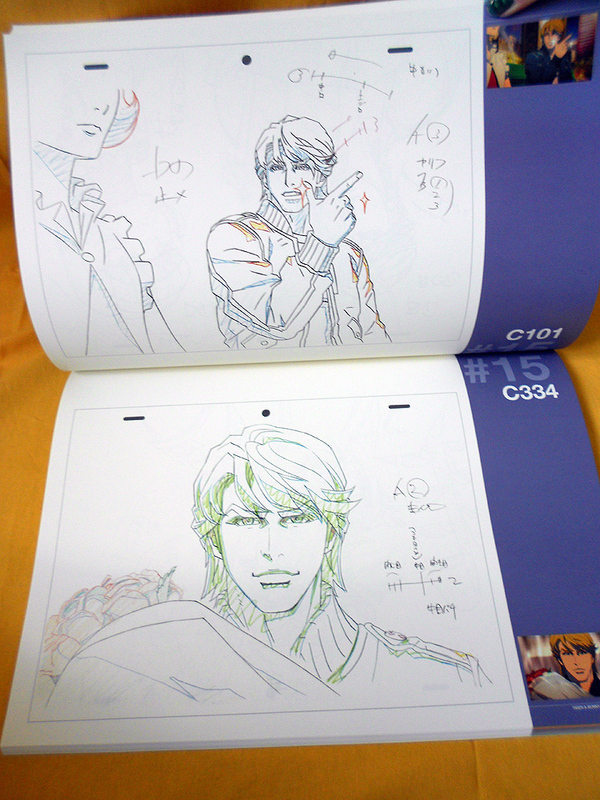 The first three sections are in full colour of finished artwork, the last three sections have similar content but in lineart. 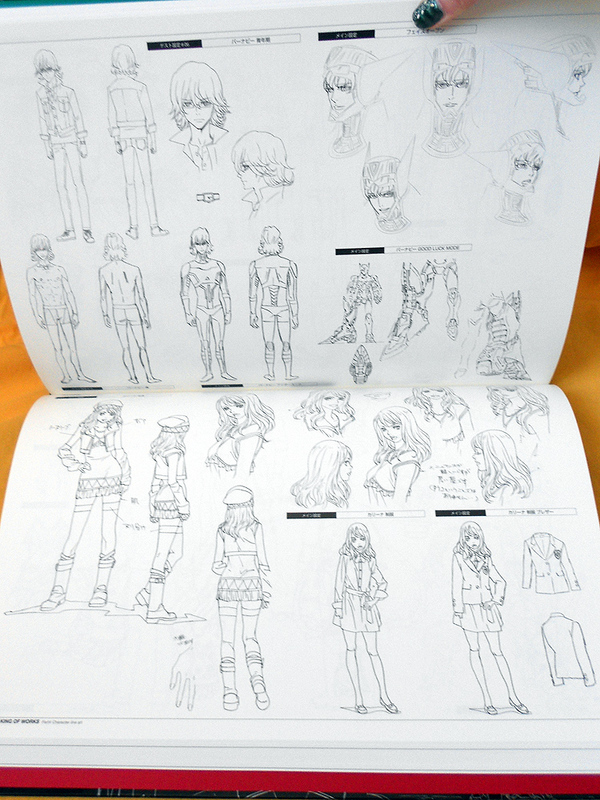 Some designs are in both finished form and lineart. 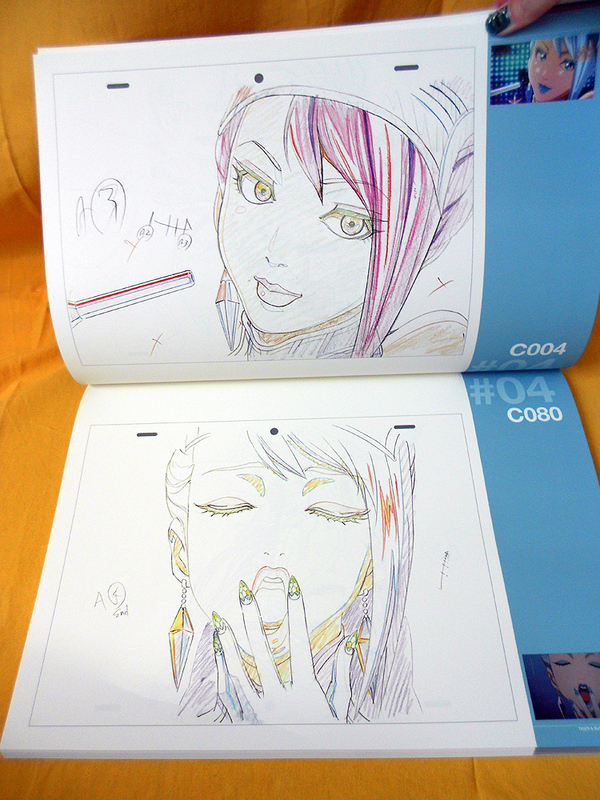 I thought Katsura’s artbook had a lot of content, but this one beats all the other official books so far, not just by amount of content but also the quality. 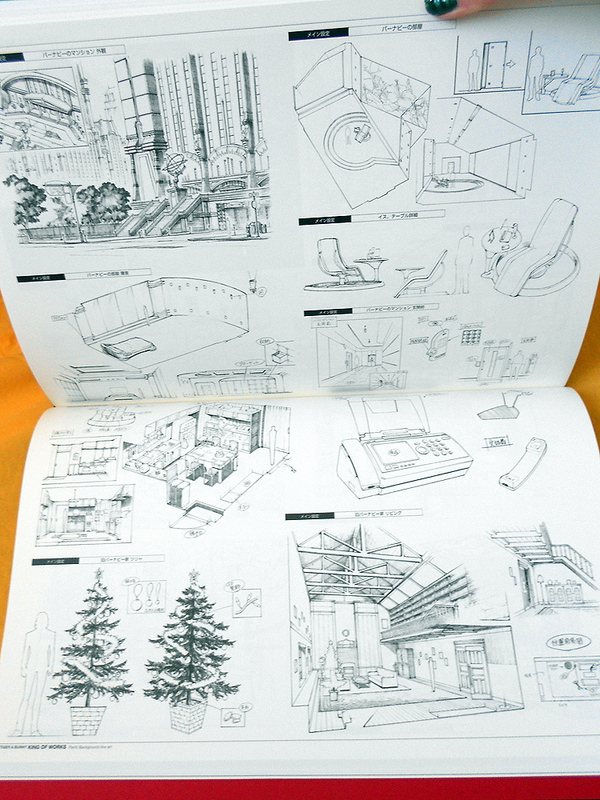 The illustrations are much bigger so you can see detail better. 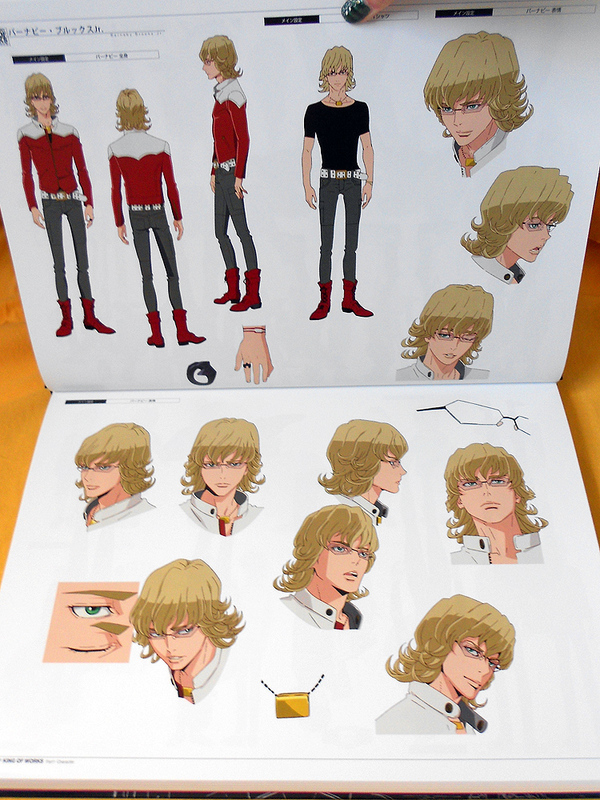 If I were an artist I’d definitely consider this book for reference material. 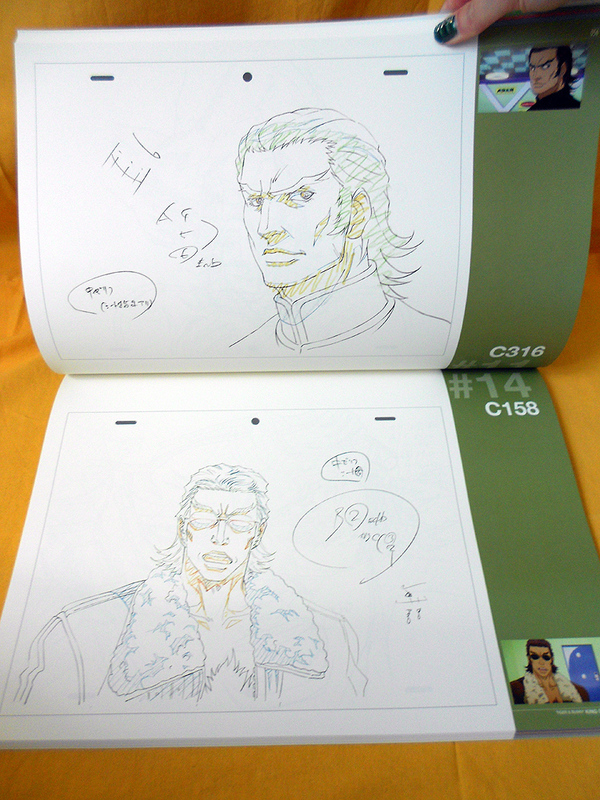 KING OF WORKS comes with two extras: an illustration specifically drawn for the occasion by Itagaki Tokuhiro (one of the animation directors for the series) and a tabletop calendar that runs from September 2012 to August 2013. 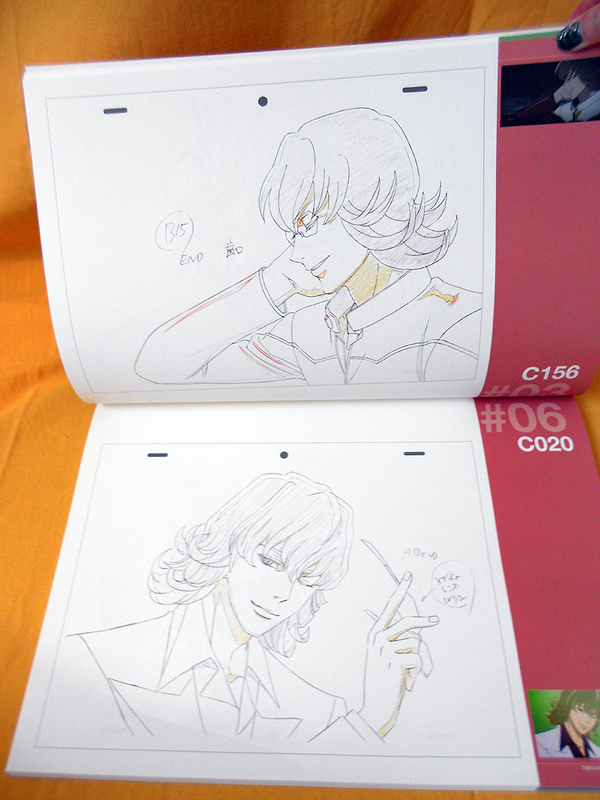 Was it worth paying the insane shipping cost when I already have all the other official books so far? Yeah I think it was. 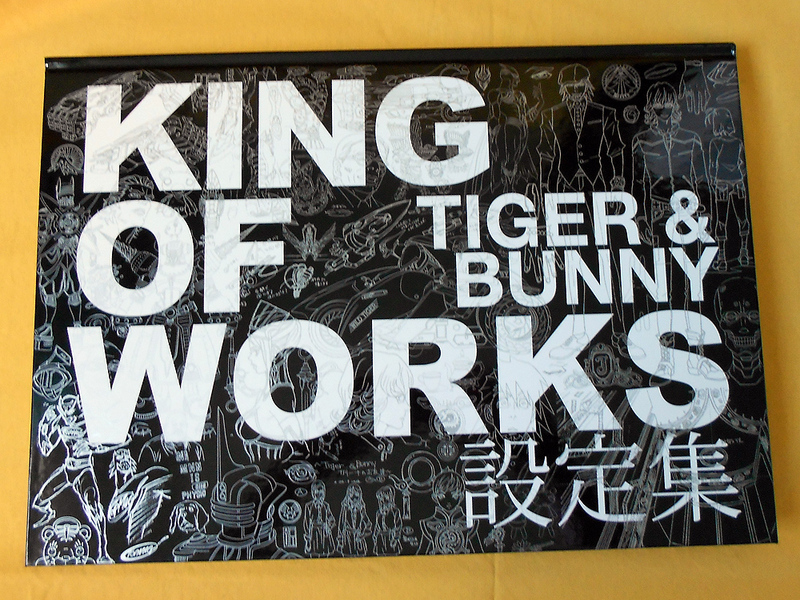 My biggest problem with KING OF WORKS is that I don’t know where to store it! It’s just so huge. If you’re looking for background information for the episodes, staff and cast interviews or stuff like that, KING OF WORKS is not the right choice. There are no interviews, no articles, no commentary. 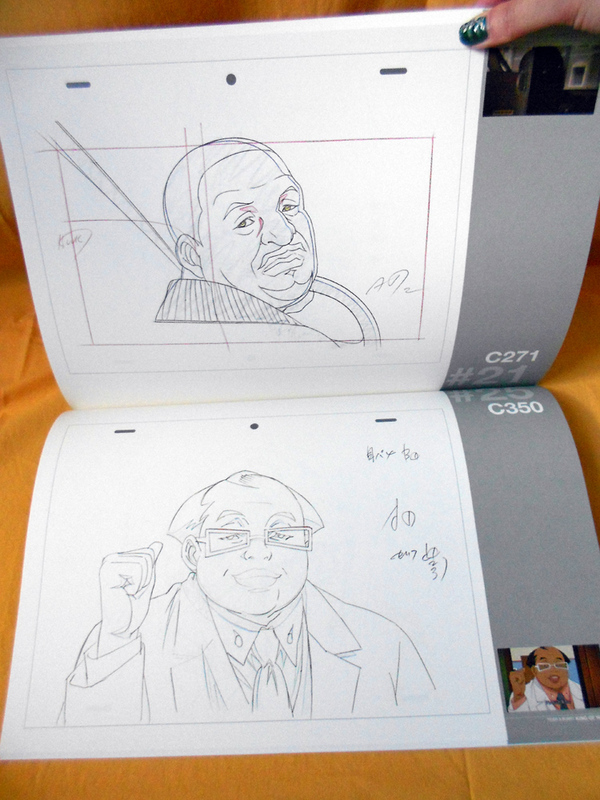 The art books just have labels for the pictures of the character and which episode it was used in – and in some cases, designs that were not used. 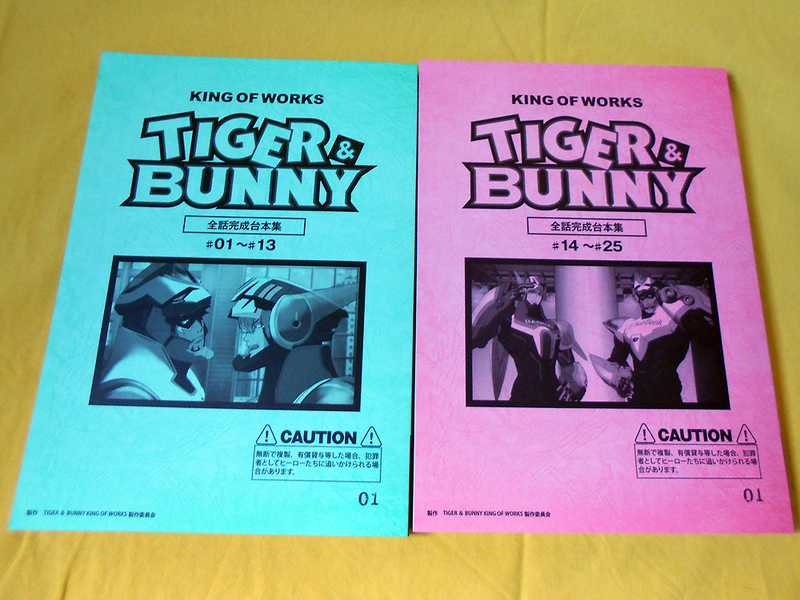 For art references, KING OF WORKS is the best choice at the moment. 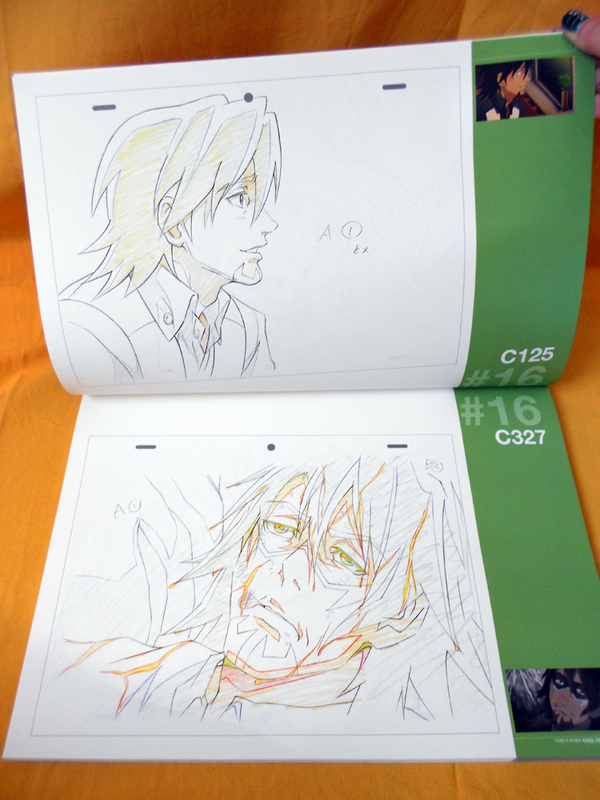 And those who know Japanese will get an added dimension to the series with the scripts. 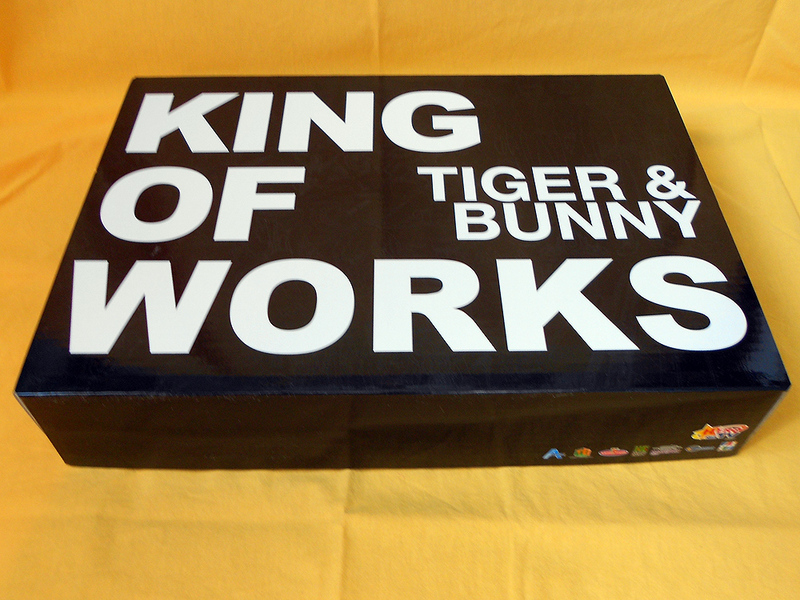 KING OF WORKS books aren’t sold separately, you’ll have to get the whole box or try your luck on the aftermarket if you’re looking just for a specific one from the set. The ISBN number is for the full set, too, the books don’t have individual ISBNs. Most of the usual stores carry KING OF WORKS, I got mine from CDJapan, but Amazon Japan has the cheapest expedited shipping abroad so I recommend using it. 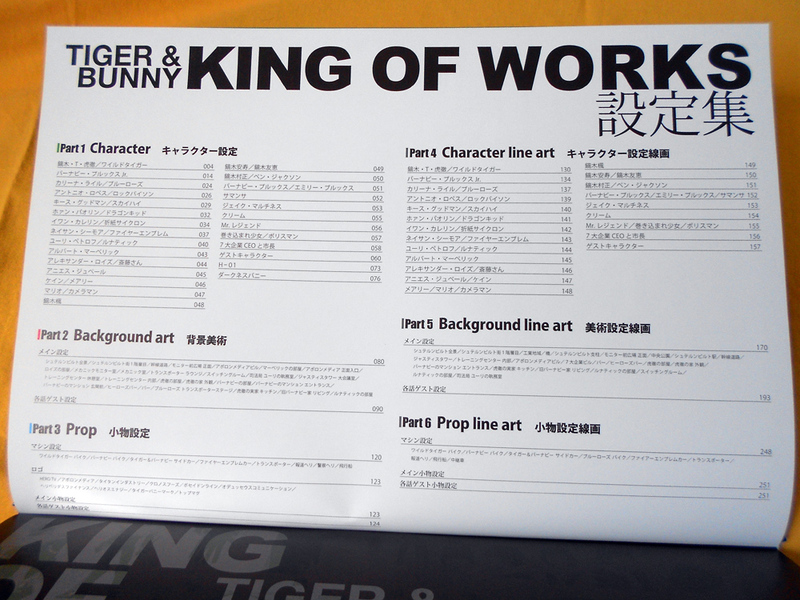 I’ve been told that KING OF WORKS sold over 12 000 copies during the first week, which is really good numbers for anime source books. 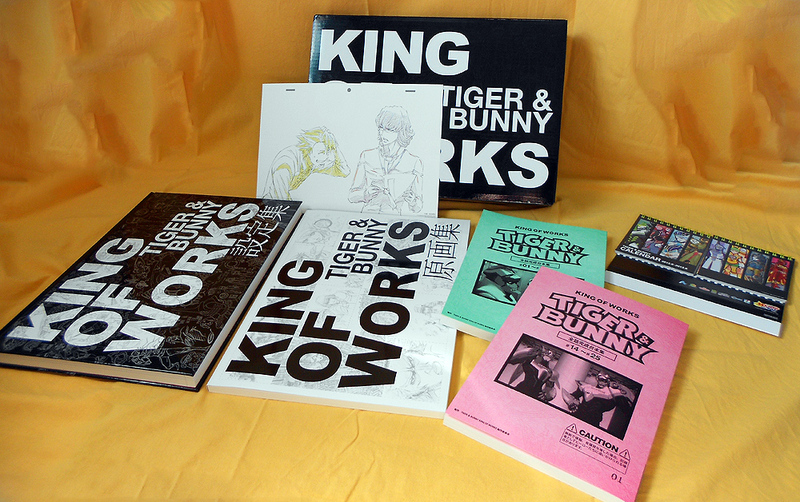 KING OF WORKS and its cousins, the other official books. Can’t wait to get mine and cute nail polish btw! 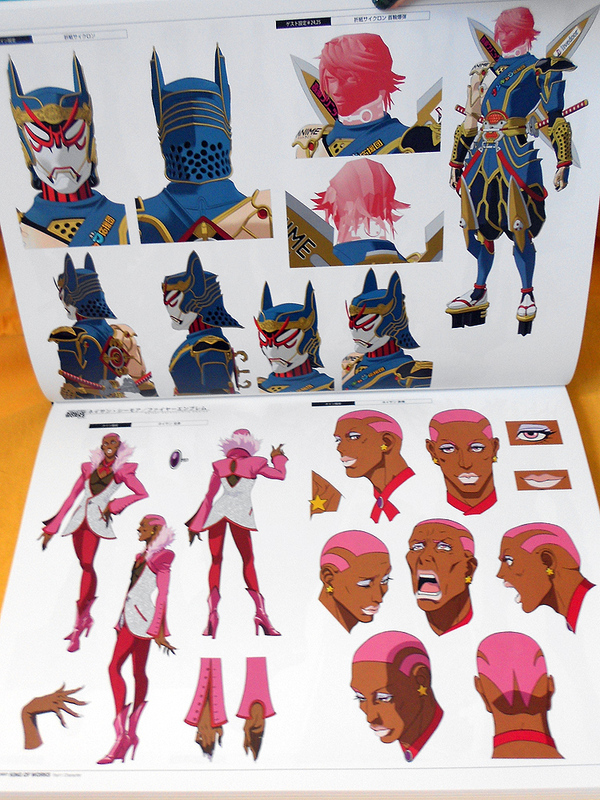 Oh mah gawd I get all these feels when I look at the materials! Another excuse to brush up my Japanese skills! 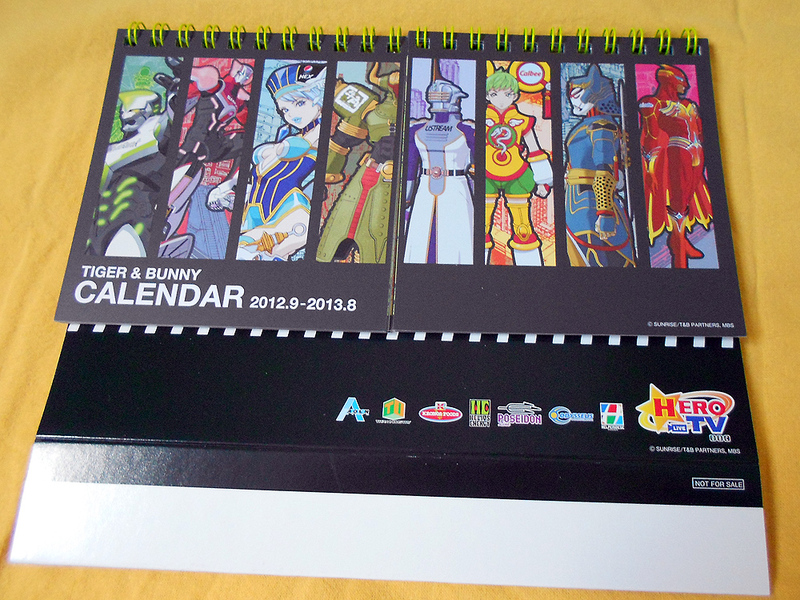 XD I simply cannot wait to hold it in my greedy hands. There’s only one problem. 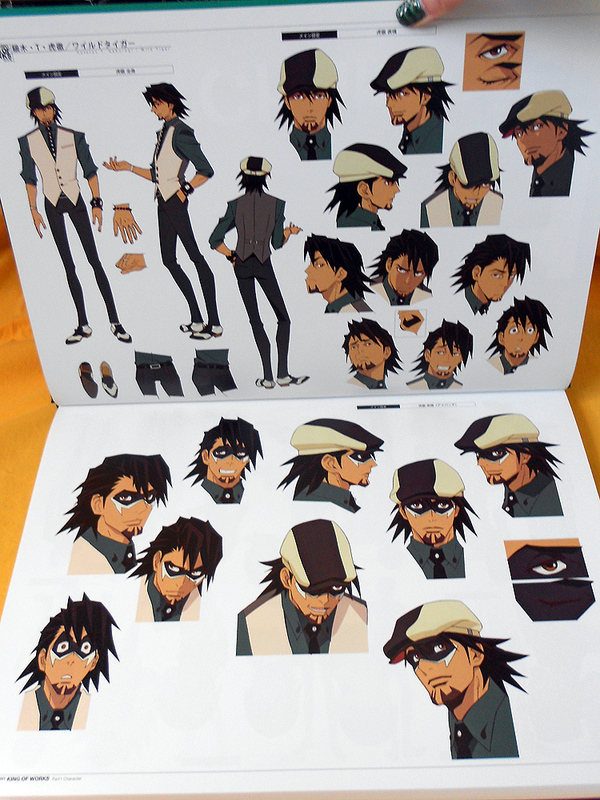 *eyes T&B merch stuffed in cabinet* I have absolutely no space! I know the feel about no space. I need more space too! Awesome, thank you so much for the pictures and review! 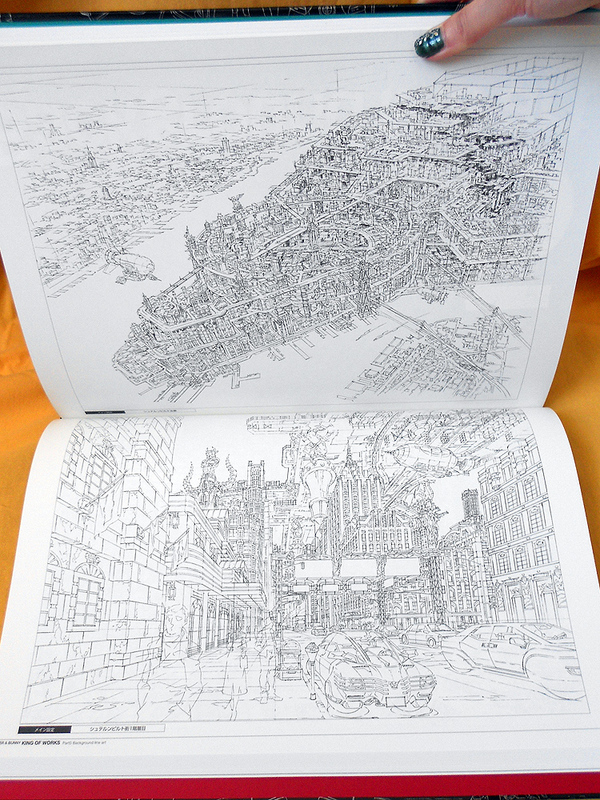 Wish I could afford it – perhaps one day! It’s worth keeping an eye out incase you find it discounted somewhere. The biggest expense is really the shipping, though. I got my copy this week and I’m so glad! 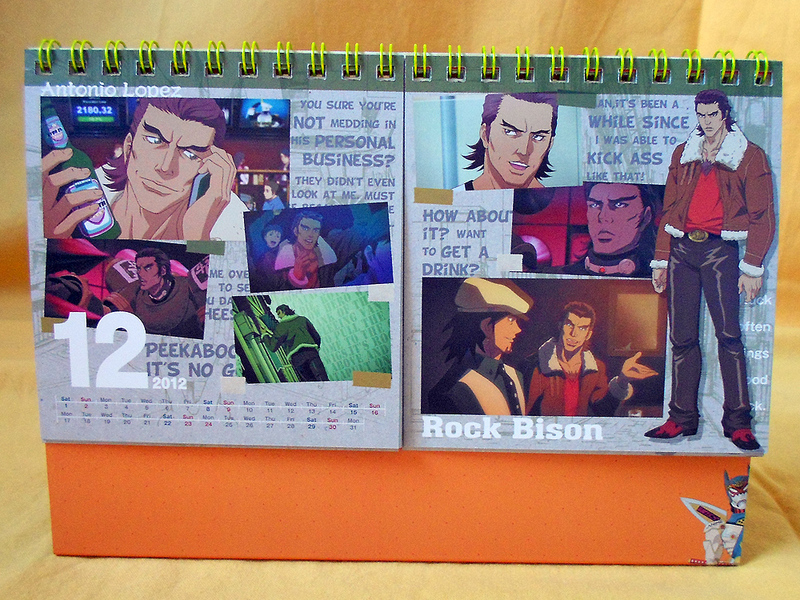 (Though I can’t read the scripts ^^’) Thanks very much for the review! Damn! Money wasting is worth it in the end! I’m still waiting for my MG FIGURERISE WILD TIGER though, I’m sure there will tons of headaches and confusions thrown into it while building Oji-san! KOW itself costs 5600 JPY. 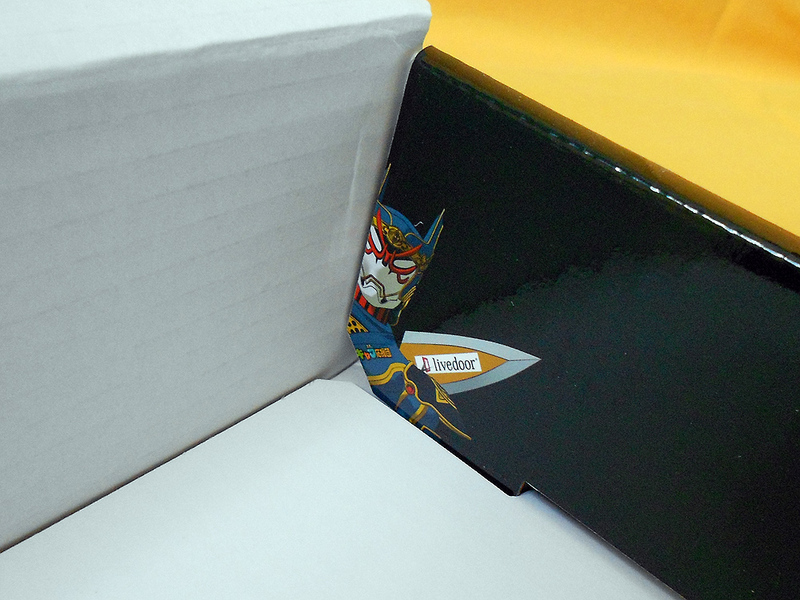 Shipping… well it depends where you are. Amazon Japan shipping was under 4000 JPY to Europe by DHL. EMS to Europe from CDJapan was almost three times that. KOW weighs 4,7kg (nearly 10 lbs.) so getting a cheap shipping is something of a miracle. The parkas I have seen listed only at the manufacturer’s webshop. You could try contacting a shopping service for them if the webshop doesn’t ship abroad (and if they didn’t sell out already). And I just remembered hearing that some Ameribros have gotten their KOW at Kinokuniya at the States, if there’s no Kino near you, you could check if any of your local retailers could import it for you. Thank you very much! There isn’t a Kino nearby (but I sure wish there was), but I’ll wait and see. I saw a new Hero Academy sweatshirt on Tumblr that is apparently only $60; sounds much more affordable and easier to fit me, lol. Thanks for posting this. Just ordered mine yesterday! Can’t wait to get it in. 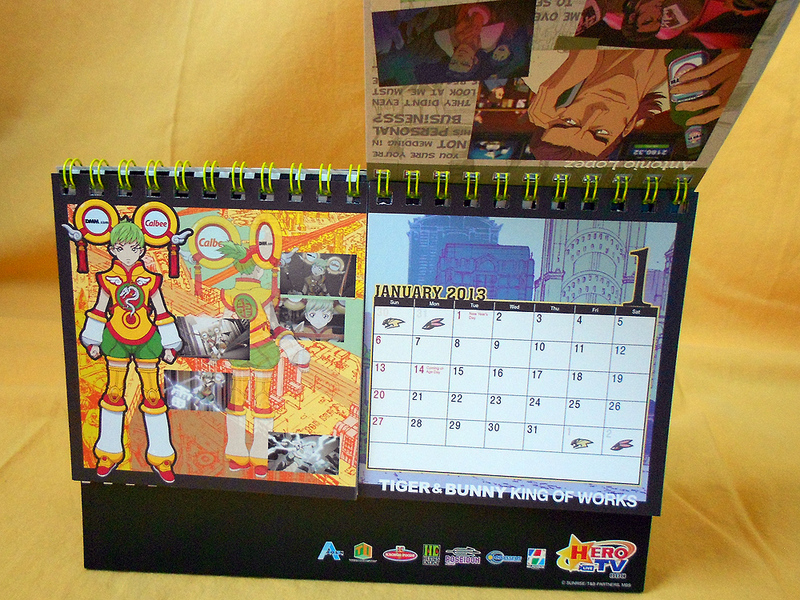 Glad they made the calender from Sept 2012 to Aug 2013, CDJapan still says April 2012 to March 2013 so that confused me. 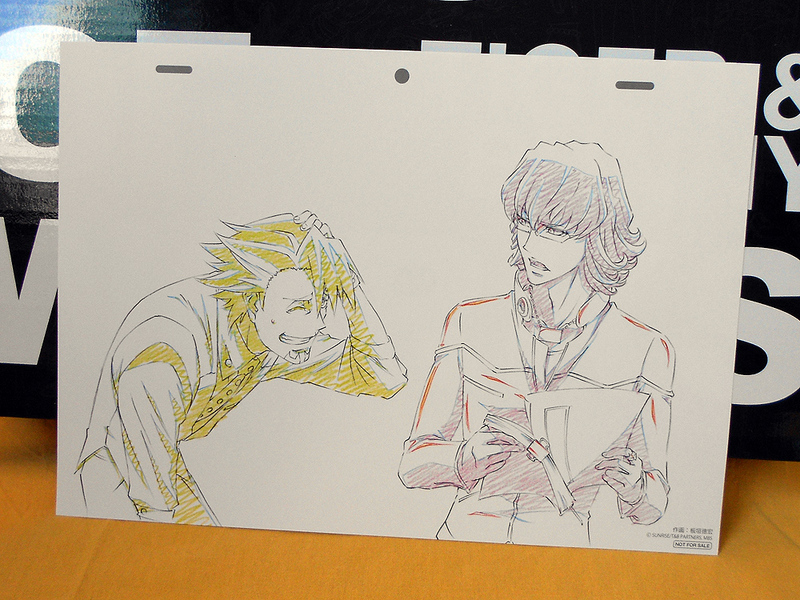 Just saw this at animebooks.com, selling around 100 US dollars. With the current exchange rate, it’s a decent price. 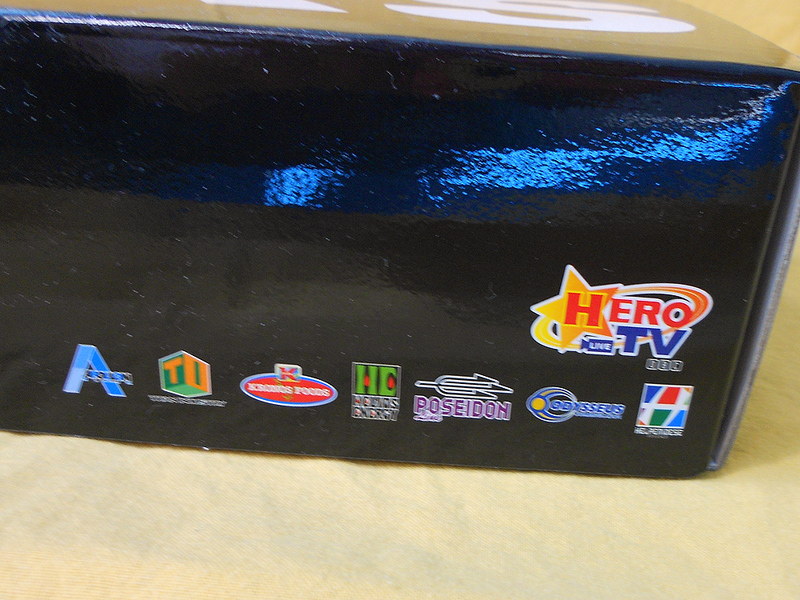 I know it is heavy, so I guess I have to order it from them as they can ship with cheaper rate. 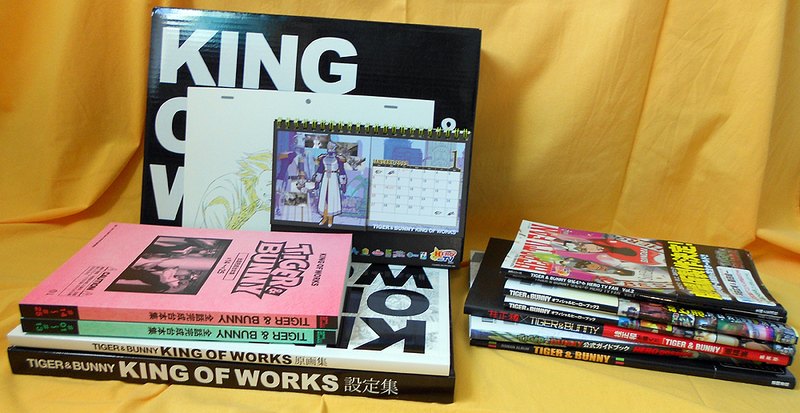 I haven’t bough The Beginning KING OF WORKS yet. The contents should be fairly similar, though.